In Entebbe, a group of Ugandan children head to the banks of Lake Victoria to play in the clear water. However one member of the group, a 9 year old girl named Faith, shakes her head when the group beckon for her to join in. Faith has been sick recently, after swimming in Lake Victoria, and her mother has warned her not to enter the water. Although Faith is not aware of it, she has been suffering from schistosomiasis (also known as bilharzia), which is responsible for more than 200 000 deaths in sub-Saharan Africa alone. 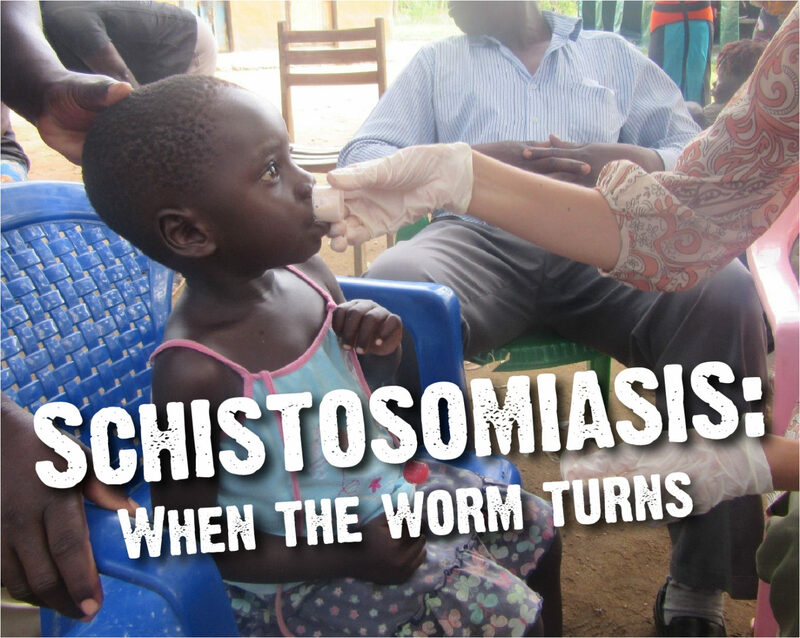 Schistosomiasis is a global disease but it disproportionately impacts Africa: according to the WHO, an estimated 92% of treated schistosomiasis cases are from people living in Africa. Around two months after infection, sufferers exhibit a range of symptoms including fever, chills, cough, and muscle aches. In children like Faith, schistosomiasis can be particularly damaging, resulting in anaemia, growth stunting and a reduced ability to learn. Lake Victoria is a frequent feature in the daily lives of many communities in Uganda. Every day people use the lake for bathing, washing clothes, and watering livestock, meaning that much of the shallow water is contaminated with human and animal wastes. And it is from these wastes that the dissemination of parasitic Schistosoma worms occurs through eggs released into the freshwater. Once the Schistosoma eggs pass into the lake, they hatch, releasing worms that infect freshwater ramshorn (Planorbidae) snails in the vicinity. Once inside the snails, the young worms grow and develop into a burrowing form that enables the worm to dig into human skin. Upon release from the snails, these burrowing worms have 48 hours to find a human host – otherwise they will die. With the number of people using Lake Victoria every day, there are plenty of human hosts for the worms to choose from. Once the worm enters the blood vessels inside the human host, the female worms complete their life-cycle, developing into adults and laying eggs that migrate through the body for release in urine or faeces. However, the danger to the human host comes from eggs that aren’t excreted, instead these eggs become engrained in bodily tissues, triggering immune reactions and causing organ damage. Schistosomiasis can be diagnosed by the identification of worm eggs in urine or stool, and blood screening of suspected cases can identify antibodies, confirming an infection. In 2016, more than 206 million people required preventive treatment for schistosomiasis. The good news is that there is a readily available treatment to get rid of Schistosoma worms and their eggs: the pharmaceutical drug praziquantel. The drug is safe, and provides a single-dose treatment with very few side-effects, resulting in a decrease of 95% of the eggs. Intervention with the drug is accepted by members within at-risk communities and the intervention can be used alongside wider strategies to decrease schistosomiasis, such as water treatment, the use of toilets to minimise contact with infested freshwater, and snail control strategies. In 2007, the pharmaceutical company Merck KGaA, who makes praziquantel, pledged to donate 200 million tablets to Africa over the next 10 years (according to Merck’s own data, more than 500 million tablets were eventually donated). Merck also scaled-up production of praziquantel to enable additional tablets to be sold at a lower cost. As a result, almost 90 million individuals were treated for schistosomiasis in 2016, of which 71 million were school-age children. Despite this, only 34.4% of people requiring treatment were reached globally. As a result, the elimination of schistosomiasis remains a significant challenge for sub-Saharan Africa, however there is a concerted effort to tackle the problem. By 2016, 36 African countries had developed and launched their national neglected tropical disease plans to combat schistosomiasis, along with other diseases. 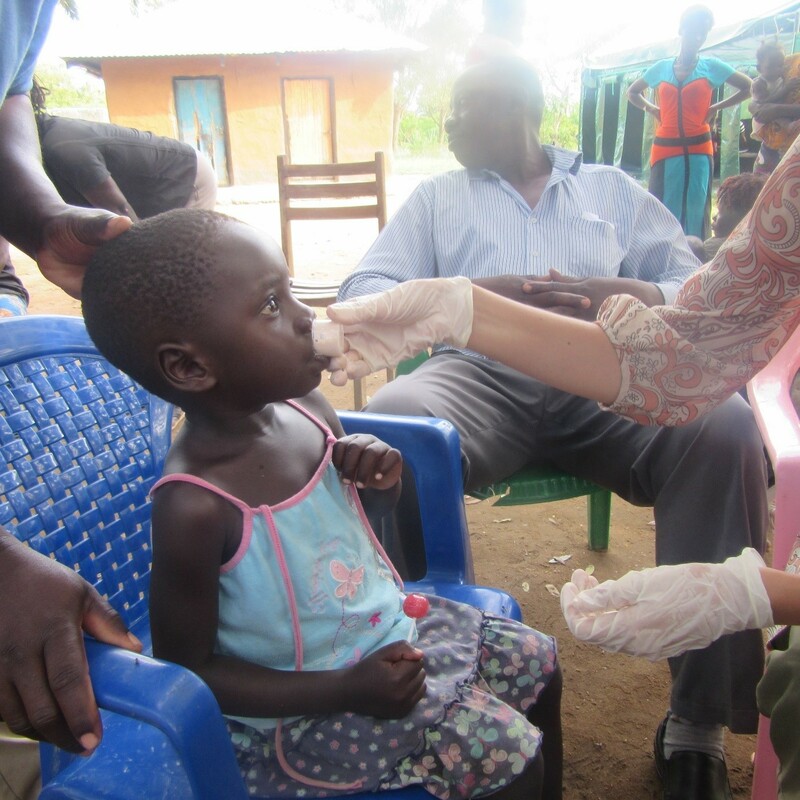 With support from USAID and UK Department of International Development, as well as the Bill and Melinda Gates Foundation, the pharmaceutical industry, and many not-for profit organisations, millions of children like Faith are now regularly treated for schistosomiasis.